Send It In Jerome: Hockey Season Anyone? I'm no journalist, nor do I consider myself a sports “expert”, but I do know that I love sports, one of which is the game of hockey. This is my first article ever written, and after many, many revisions, I still know that there is a long way to go to get good at this stuff. Now that I've divulged my impressive credentials, I would like to comment on a few noteworthy things in hockey, particularly in the NHL. Why exactly is the NHL becoming so popular recently as a professional sport? Many people see the NHL as an inferior sport to the big 3 (NFL, MLB, NBA) with their counterparts CFB and CBB close behind. When the last lockout happened 8 years ago and the entire 2004-05 season was lost, the NHL lost a lot of its following with it. 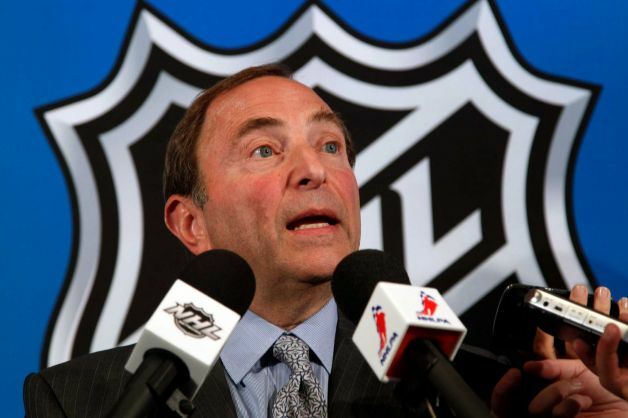 Ironically, with the 3rd NHL lockout since 1994 in the works, the NHL might hit the same speed bump as it did before. The diamond in the rough here is that the rules post-2005 lockout became tailored toward skill players and high speed offenses instead of goons and enforcers. After the lockout, ESPN and the NHL couldn’t come up with an agreement, and thus the NHL agreed on a deal with Versus and NBC instead. Versus was an atrocious start for the NHL, as it was only available to Comcast customers on a putrid network. Combine that with ESPN’s decision to cover more highlights from the WNBA, Golf, NASCAR, and anything other than NHL, the new NHL era didn’t get off to a Usain Bolt-like start. Whether you think ESPN is screwing the NHL because they don’t have a TV deal, or you really believe that the WNBA is more popular than the NHL, is your opinion. So here we are: eight years later and again beating our heads against the wall to the point of concussion. Under the “current” CBA, the players receive 57% of the share of revenue and the NHL receives 43%. Both sides differ on the new share of revenue, as well as what constitutes hockey related revenues. The NHL union director (Don Fehr) has also hinted at the “success” of the MLB’s no salary cap (which he instituted back in 1994), but the NHL is not interested in that type of proposal. It’s looking bleak that the NHL will be able to work out a deal, but technically they could still meet the October 11th season opener even after the September 15th deadline. This, however, is also a very tall prospect as negotiations from both sides fail to budge from their initial proposals. -For the entirety of the playoffs, NBC Sports Network averaged 1.030 million viewers, the highest audience for a single cable network since 2002 (ESPN; 1.295 million viewers). These aren’t the only stats that show the growth of the NHL. 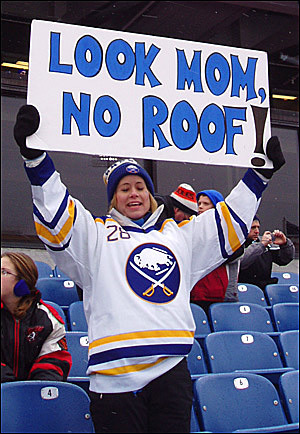 The NHL’s Winter Classic has been a nationwide hit. On January 1st 2011 the Penguins and Capitals faced off in the Winter Classic, receiving 4.5 million viewers, which made it the most watched NHL game in 36 years. Most impressive is that these numbers were achieved during the Rose Bowl between Wisconsin and TCU, as well as running into the start of an NFL Monday night double header, and the Fiesta Bowl. Although these games pulled in 10-20 million viewers, the NHL was able to draw viewers on a day full of family gatherings and big money football games. The NHL is still in its infancy relative to the big 3 in America, but, lockout pending, I could see a huge surge of popularity in the NHL amongst sports lovers in the near future.